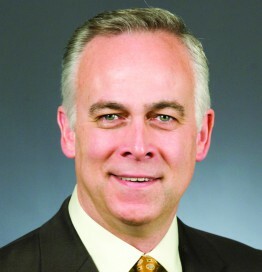 Tony Albright is a business strategy consultant and third-term member of the Minnesota House, representing District 55B, which includes the cities of Prior Lake, Jordan and the townships of Spring Lake, Credit River, Sand Creek and St. Lawrence. Albright is vice-chair of the Health and Human Services Finance Committee, and serves on the Health and Human Services Reform, Higher Education and Career Readiness Policy and Finance, and Rules and Legislative Administration Committees, as well as the Subcommittee on Child Care Access and Affordability. Following the most recent election, Albright was voted Speaker Pro Tempore of the Minnesota House of Representatives. Albright is a graduate of Minnesota State University – Moorhead, where he earned a Bachelor of Science degree in Business Administration. He and his wife, Marianne, have been married for 31 years and have three adult children. While not working on behalf of Minnesota taxpayers or at his private consulting business, Albright volunteers for Second Harvest, Families and Individuals Sharing Hope, as well as his church’s activities in support of missions and missionaries.